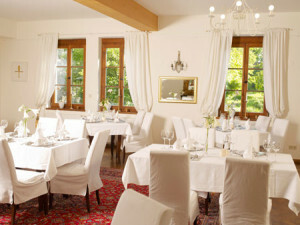 The Castle Inn Rosenburg offer a variety of culinary delights. The seasons are deliberately reflected in the dishes. The ingredients are mainly selected from the region. Our Knight’s Banquets with entertainment enjoy great popularity and are regularly held in the Vaulted Hall. Additional dates for groups are bookable at any time. Stylishly pleasurable rooms, partially with a view of the castle, are available for romantic overnight stays in the Castle Inn. Anyone who thoroughly enjoys cuisine really lives.